 Reviews and Testimonials for Worthing Surveyors. Nigel Polton has received some great feedback from happy clients across Worthing and West Sussex. "Each of the happy clients below started the instruction process with a simple, no obligations conversation. Myself and my support staff are passionate about what we do, so even if you would just like a little advice before buying or selling your home or investing in land or property, get in touch now to see if we can help!" "Thank you very much for the survey which will be very helpful, as will the contacts for getting quotes for the itemised work...I hope that I can come back to you with any queries raised once I have contacted the companies." "Brilliant, thank you. Did not expect to get a reply on a Sunday night! Thanks for the very thorough report. We were really impressed with the detail despite the pretty depressing reading!" "Thank you for the survey and reports. Great service!" Worthing Surveyors is a trading name of Right Surveyors Sussex & Weald Ltd, serving Worthing and the surrounding area. Company Registration Number: 09563758.